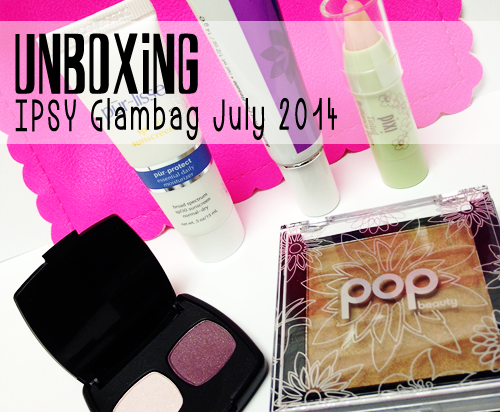 So this month's IPSY theme is "Sensationally Sunkissed". Fair enough. I can get behind sunkissediness (it's a word, I gave it life) in July, so I'm for this. I think I've been a little bit poisoned by all the fury about the stinky mascara from last month, because I'm a little cranky about stuff at the moment. For the record... I don't care about the stinky mascara. It stunk, I threw it in the garbage. Oh well. I was actually pretty happy with my bag last month and I'm actually pretty happy with this month's bag as well. Keep reading, let's talk about it. Weird pink scalloped bag. Yeah, I'm not a huge fan of it, but when I stopped by to see my mom last night and she saw it, she really liked it so it belongs to her now. Sharing the pink, scalloped love.. Isn't that what these subscription services are all about? Whenever the IPSY spoilers come out every month, I'm quick to look at them and pick a few choice things that I want. And then I assume that I won't get a single one them. I think a little bit of that is because I want to be extra happy if I get one of them but also so I won't be too bummed when I don't. And I will be very honest... I almost never do. I actually didn't this time either, but that doesn't actually mean that I'm disappointed. I actually really like this bag. However, can IPSY please stop pretending like I'm getting bags every month based on my specific preferences? Because as far as I can tell from social media, about 80% of people got this exact same bag. Just saying. Because of Sample Killah this month, I've actually been using one of the other Derma E products that I received in a previous month's bag and really enjoying it, so I wasn't too bummed to get this. Until I opened the tube. In the tube, it looks dark enough that I should be using it for contour. 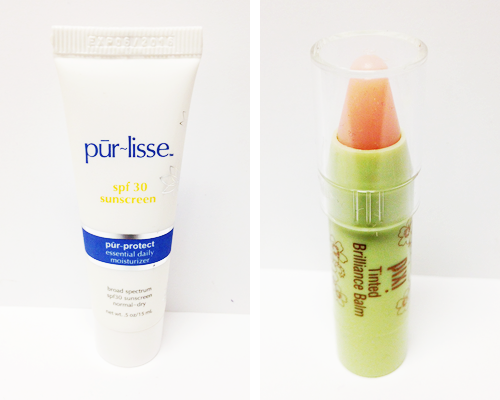 I figured (much like the last time I recieved a BB cream from IPSY) that I wouldn't be able to use it. But then I blended out a swatch on my hand and it melted into my skin. Really weird, but I actually can't wait to put it on my face and see if it does the same skin matching thing there, because the coverage seems to be pretty good. And you all know how I feel about a BB Cream. This bronzer is dark and golden and shimmery... so I'm not really sure how much use I'll actually get out of it. That said, it has a really pretty sheen that I feel like I could work with for summer nighttime, so I suppose it's worth a try. I'm trying to perfect my bronzer game anyway lately, so I guess we'll see. The quality seems nice, though. It's got a smooth, creamy texture and good pigmentation that still seems like it would be easy to work with. If it ends up being too dark for me, I might have to give this one away to someone I like. We'll see. Full disclosure? I really wanted the cream shadow. Like, badly. So I was really disappointed when I saw this in my glam room. Also, I try really hard to make purple eyeshadow happen for me about once a month and it just never quite feels right on my eyes. 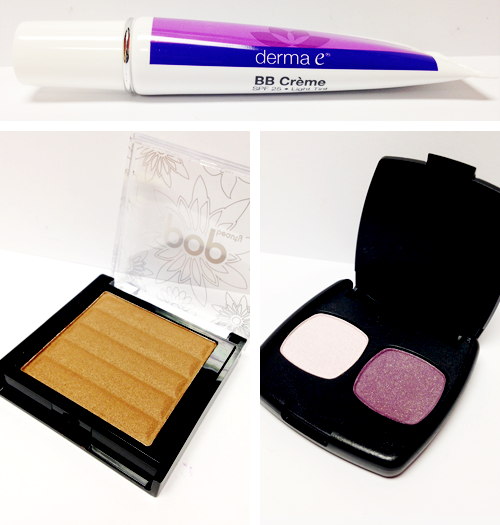 I'm not sure why, since purple is generally considered to be a universal eye shadow colour. Whatever. This is fine, the texture and pigmentation on the darker shade isn't really that good, but that's actually pretty common for purple. It's fine. Grumble. Sigh. I really, really wanted the cream shadow. The other option here was a dark tanning oil... and weirdly enough, I probably would have actually liked that as well. Not because I want a dark tan, mind you, but I actually probably would have just used it as a body oil since it apparently smells really good. I'm getting off topic. I'm also pretty happy with this and might throw it into the Sample Killah rotation since I'm pretty much down to bare bones as far as daily moisturizer foilies are concerned. I don't hate that this is worth $16 though... I can get behind that value. This stuff is weird. No, really. It's weird. I swatched it on the back of my hand and it just looked like it was going to look like a clear balm on my lips. I was a little disappointed by that, because I was hoping for something with colour, but then I put it on my lips. And it's weird. It doesn't really have colour to it, but it does something to just make my lips look more... alive? I don't know if that's the right word. It's cool though. What it does to my lips is very flattering, so I can get behing it. WEIRD, THOUGH, PEOPLE. WEIRD. Or, I suppose, "Unique" if we're listening to the name. Which I rarely do. Because makeup companies make strange choices sometimes. Anyway, I'm not mad at this. I think I might really like it. I'm testing the waters. Overall, I'm definitely happy with this bag. I mean, really, who can complain about getting $50 worth of products for under $20 including shipping to Canada? It's almost always products that I wouldn't buy for myself, I'm putting together a collection of unique and pretty makeup bags that I'll likely use to give people Christmas presents, and sometimes I get little gems. SO no, I won't be getting up in arms and entitled about a little bit of stinky mascara. I just won't. 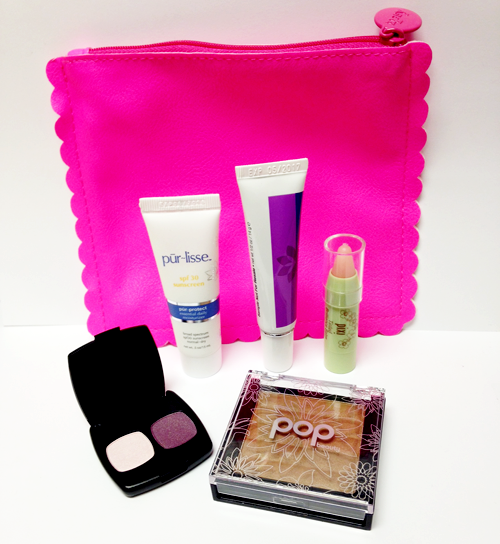 CLICK HERE to join sign up for your own monthly Ipsy bag! If there's a waitlist, it's seriously still worth the wait, I promise!